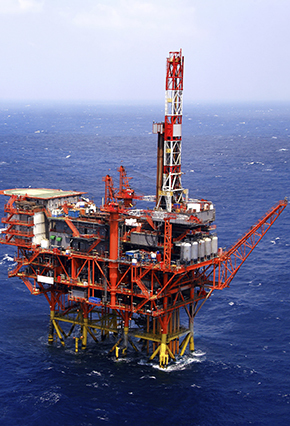 Last week, Bureau of Safety and Environmental Enforcement (“BSEE”) Director Brian Salerno issued a sharply-worded memorandum warning that the offshore oil and gas industry “has not taken action to aggressively address” safety issues raised in a December 2014 technical report on seal assemblies and cement failures, and highlighting unresolved issues that “require expeditious follow-up due to their serious nature.” This follow-up includes: determining to what extent elastomeric seals may “introduce an element of uncertainty for verifying the integrity of the well containment system, as it can mask the underlying quality of the cement job;” a more thorough review of applicable industry standards and regulations; and a study to determine the sufficiency of shallow liner use in well design. Director Salerno’s memorandum comes on the heels of the July 28, 2016 effective date of BSEE’s Well Control Rule, which introduced a provision aimed at driving risks associated with oil and gas operations to the lowest level practicable (see prior alert here). The memorandum, along with BSEE’s continuing focus on connector bolt failures (see prior alert here), clearly signals that BSEE will aggressively pursue expeditious resolution of systemic issues related to material testing, component reliability, and quality control as part of the agency’s overall focus on driving down risks associated with offshore operations. This Alert summarizes the BSEE 2014 technical report, analyzes the contents of the Salerno memorandum, describes the types of legal risk associated with the identified seal system and cement issues, and provides practical guidance to address identified legal risks. The technical report contained a highly detailed analysis of potential failure points, raised a number of questions about the effectiveness and advisability of using the seal and cement dual barrier system that was used in this particular well, and analyzed whether existing industry pressure-testing practices were adequate to assess the integrity of cement jobs. The technical report explained that, when drilling a well, companies often devise a system that will allow flexibility to utilize a number of casing strings to achieve the targeted depth while addressing potential safety and environmental issues. This system typically involves a number of components, including a casing hanger, a hanger seal assembly, and a liner string. BSEE’s technical report included a list of key findings and recommendations. Among the findings, OORP found that “existing industry practices and BSEE regulations related to pressure testing may not be adequate to evaluate the integrity of either the seal assembly or the cement column.” OORP recommended that BSEE consider amending its regulations to ensure that the agency has a mechanism to verify the integrity of the seal assembly and cement column post-installation. OORP also recommended that BSEE mandate that operators verify that downhole pressure-containing equipment is fit for its purpose, i.e., that it has been “designed, tested, and rated for any potential loss of well control condition to which it might be exposed during its service life.” Finally, OORP recommended that either BSEE or industry perform a “comprehensive analysis of well designs utilizing shallow liners and sub mudline casing hangers” to confirm that companies are utilizing best engineering practices to minimize the risk of loss of well control events. The pointed language in Director Salerno’s memorandum is significant in that it calls for both industry and BSEE to immediately undertake a serious review to determine whether use of elastomeric seals is appropriate in this context and whether the existing methods of testing the integrity of well cement jobs are adequate to appropriately assess the underlying quality of those cement jobs. BSEE is seeking to determine, consistent with its ongoing focus on risk reduction, whether industry is addressing all potential risks associated with current cementing practices. The Salerno memorandum and the underlying 2014 technical report place companies on notice about potential seal and cementing issues and the importance of being able to verify the integrity of well containment systems. If an operator was to ignore these warnings and then experience a loss of well control event, there very well could be serious legal consequences. As noted in our prior alert, BSEE now can enforce a provision of its Well Control Rule (see section 250.107(a)(3)) that requires operators to lower risk to the lowest level practicable. Given the nature of the warnings issued about seal assemblies, cementing, and well integrity, an operator’s failure to act to address potential problems may be viewed as a failure to address risks as required by the Well Control Rule. This type of violation could expose a company to significant civil penalties (for operating for a given time period while these risks were present) and other BSEE administrative remedies. A company could face further consequences if a loss of well control resulted in a fatality, a serious injury, and/or harm to the environment. In that context, BSEE or another investigating agency may be able to craft a narrative that a particular company used these seal assemblies and liners to save time and money and to avoid testing of the integrity of the cement barrier. Any violations deemed to be willful could also create exposure to criminal charges. As noted in our prior alert, the Department of Justice (“DOJ”) is leading an interagency initiative on worker endangerment. The DOJ has very clearly stated that it will pursue companies that ignore risks and endanger the lives of workers. Moreover, DOJ has criminally charged companies with willful violations of BSEE regulations, using the criminal provision contained in the Outer Continental Shelf Lands Act (“OCSLA”). In this context, legal risk could attach to both the company and to company officials who may have been in a position to address the unsafe activity. Within the past year, the DOJ has urged federal prosecutors to more fully consider individual criminal liability as part of investigations into illegal behavior by a company. The potentially serious consequences associated with ignoring the issues raised in the Salerno memorandum thus underscore the importance of taking immediate steps to address the issues raised in the memorandum. Evaluating your cementing program and use of seal assemblies and other similar components. Given the language of Director Salerno’s memorandum and the 2014 technical report, companies should take a fresh look at how cement integrity is tested and whether seal assemblies, liner hangers, and other similar components are consistent with good engineering practices and whether they appropriately mitigate the risk of a loss of well control. In engaging in this review, companies should clearly and thoroughly document their efforts. Determining whether additional testing and/or design changes are warranted. If a company’s evaluation reveals gaps and/or potential risks with seal systems or cementing integrity, that company should take immediate steps to mitigate those risks, and clearly and thoroughly document all such efforts. Conducting an independent, third-party analysis if you have reason for serious concern. If a company identifies gaps and/or potential risks, the company should consider retaining a third-party to assess the extent of those risks and to determine whether remedial measures are warranted. Engaging with industry and BSEE on best practices. Consistent with what is occurring with connector bolts, companies should engage with BSEE to determine whether industry standards need to provide clarity on how to ensure that seal systems are adequately designed and tested to ensure cement integrity. Contact the team at Van Ness Feldman LLP for guidance on assessing potential legal risks associated with seal systems/cement integrity or for an evaluation of how your existing systems would be evaluated by investigators after an offshore incident. In addition, the team is available if you have any questions on recent BSEE rulemakings, initiatives, and other regulatory activities. If needed, please contact Michael Farber, R. Scott Nuzum, or Jonathan Simon at 202-298-1800.